Born in 1966 in Perth/Australia. 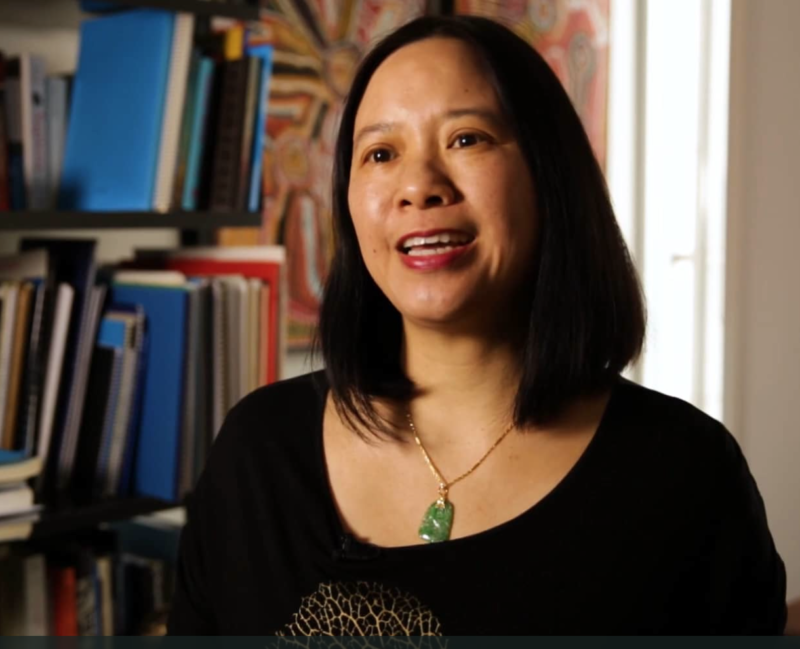 Currently, Liza Lim is Professor of Composition at the Sydney Conservatorium of Music and at the University of Huddersfield. She was formerly the Director of the Centre for Research in New Music at Huddersfield from 2008-2017. Her works draw upon very wide-ranging references including Australian Indigenous and Asian aesthetics and ritual; a Sufi poetics of bewilderment, communion and ecstasy; and weaving and knot-making as a cross-modal ‘technology for thinking’. Recently she has been working on topics like ecology and the uncanny (Extinction Events and Dawn Chorus) or mobs and power (Atlas of the Sky). She has had important long-term collaborations with ensembles such as ELISION and Ensemble MusikFabrik whilst also being commissioned by Ensemble Modern, Ensemble Intercontemporain, SWR, Los Angeles Philharmonic Orchestra etc. Major performances in 2018 include a season of her fourth opera ‘Tree of Codes’ in a new production at the Spoleto Festival, USA and premieres at Wittenertage für neue Kammermusik (Klangforum Wien) and Acht Brücken (Florentin Ginot). High intensity, full spectrum noise like rain hammering down on a tin roof, the sound of cicadas in summer or the wall of insect and frog noise in a rainforest. All of these engulfing sounds speak to me of belonging, of being part of a vast picture in which the world has a voice that dwarfs the human perspective. Notation for me is a proposition for a creative interaction and not some rigid authority. Of course, there are so many aspects of tacit or assumed knowledge in music that cannot be pinned down but rather than bemoaning this as a problem, I see this ‘lack’ as really interesting. These unwritten spaces are where the performers’ sensibilities and their presence come alive. I like this conditional space where you get to see enculturated priorities coming through and it’s for me where the music is really ‘made’. I hate that picture of musicians as somehow just vessels for received wisdom handed down from a composer. I want to see musicians as agents that are in a more active, more attentive and transformative relation to a whole musical world in which the composer is just one part, the listener another. When I’m composing, the act of writing itself becomes a pleasurable medium of communication with the music – not only can I discover things by externalising ideas in a form that allows me to play with their shapes and dynamic properties but there’s something deeply sensual about the whole thing. The written music starts to take on a kind of independent character – it starts to speak to me and eventually begins to write me as much as I write it – there’s an intimacy of encounter that carries me along.